Preparing for Baby: What Do You REALLY Need? Since August is the month with the most babies being born, let’s talk about what you really need when preparing for baby. It’s probably not what you think! I remember the fun of “shopping for baby.” All that pastel was sooooo appealing. But truth be told, most of what we think we need to buy in advance of baby’s arrival is an illusion conjured by our shop-happy culture, an alluring but costly response to the most natural of pre-parenting instincts—to nest. What you don’t need—at least for now—is a crib. If you go the family bed route you may never need one; otherwise, a cradle by your bed will provide the closeness you both need for many months. 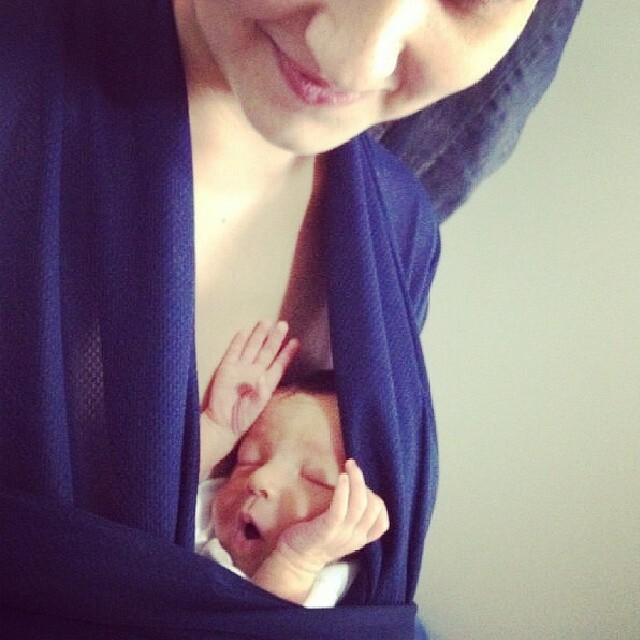 While attachment parenting doesn’t mean wearing your baby 24/7, on-body carriers like snugglies and slings can be wonderful. If possible, borrow some to try; together you and baby will know which to buy. This entry was posted on Thursday, June 26th, 2014 at 10:30 am	and is filed under Parenting for Peace. You can follow any responses to this entry through the RSS 2.0 feed. You can leave a response, or trackback from your own site.